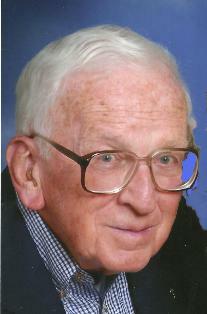 Culver lost another one of our history resources last week with the passing of Pete Trone. I considered Pete a friend and the fact that I lost Pete and Bobbie Ruhnow both within a year really puts me at a loss for historical references. I used both as touchstones for what happened here as they both lived through a lot of Culver history as well as had enough interest in Culver to have researched a lot of what happened before their time. Much of this history was imparted at BZA meetings where they would tell homeowners the history of their properties interspersed with their ongoing argument regarding which of the two of them was actually “older than dirt”. I had several conversations with Pete at Miller’s Merry Manor when I was researching the Extra Territorial Boundary issue. Even when his body was failing him, his mind was sharp and he was able to give me a lot of the history of why Culver’s zoning boundaries looked they way it did. If you had a conversation with Pete, you could always expect a reasoned response. When it was something regarding the town, whether in a public meeting or not, he left you feeling that he had the best interests of the community in mind. On those few occasions that we disagreed, we could have a spirited conversation and still part friends. And that is noteworthy in the current political season. Bobbie and Pete were of opposite political parties and I was pleased to be on their political joke chain. I often got the best and most biting political satire from one of them directed at their own party. They could see the humor, poke fun, accept the ribbing and remain friends. Much of that seems to be lost this year. It seems that’s something we should all strive for. Today would have been Pete’s 87th Birthday. Happy Birthday Pete! You’ll be missed!